Over the last month I’ve been assisting in the construction of one of Patrick Dougherty’s Stickworks installations. It is going to call Fed Square’s ampitheatre home for the next 4 months. Patrick has been building these structures for the last 30 years, so it was really interesting to observe and learn some of his methods he’s refined over that time. 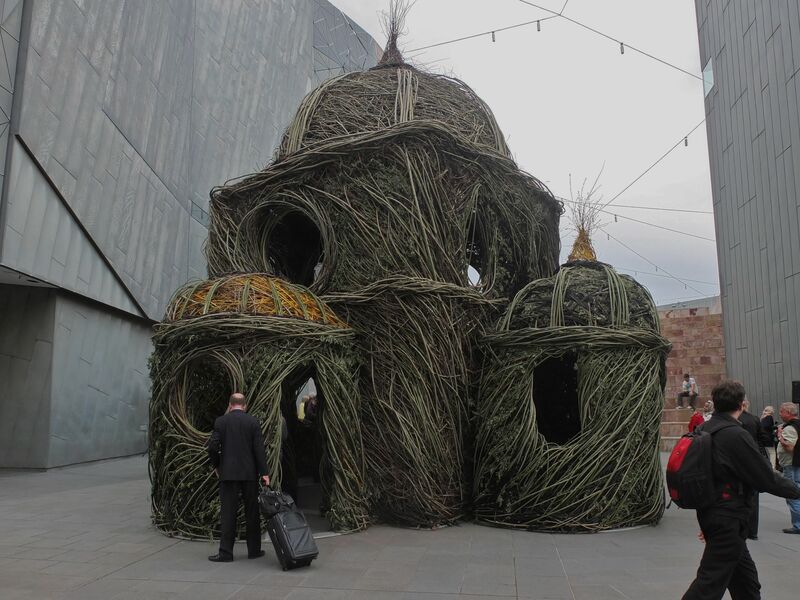 The structure itself is pretty amazing, and I’m keen to see how how it changes in the environment during it’s time at Fed Square. If you’re round Melbourne, drop by and check it out! ← Subscribe now to The Nose Newspaper on Pozible!